The Toledo Mud Hens will begin defense of their IL West Division title on Opening Day at Fifth Third Field on Thursday, April 4. Join us for the biggest party day of the year in Toledo and start the 2019 baseball season off in style! Opening Day package options include an exclusive party on Fleetwood's Rooftop or a craft beer tasting event at Fifth Third Field. There's nothing like enjoying a baseball game at Fifth Third Field and taking in a hockey game at the Huntington Center, all in the same day! Catch all the action on Saturday, April 6 at the T-Town Doubleheader. NEW IN 2019: Sunday Brunch with the Mascots before Sunday afternoon's Hens games! And don't forget, after every Sunday game all kids aged 12 and under are invited onto the field to run the bases! • BirdCage Bar & Grill: birdcagebarandgrill.com | The BirdCage Bar and Grill is located on the Club Level at Fifth Third Field and provides incredible views of the on-field action! 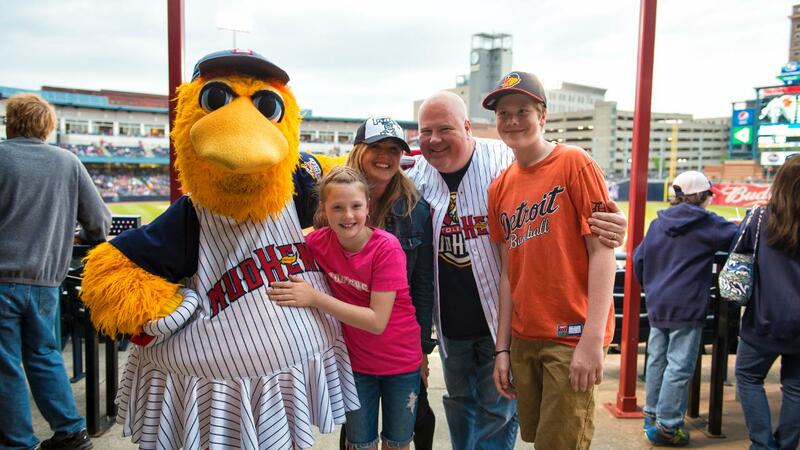 Your ticket to the Mud Hens game gives you entry to the BirdCage, where you and your guests will enjoy a great dining experience, featuring a display of hand-carved meats, antipasti, classic salad, and seasonal entrees.